Nothing beats the versatility of having the protection of a full windshield or full airflow with the ease of simply changing a latch location - who said you can't have your cake and eat it too. 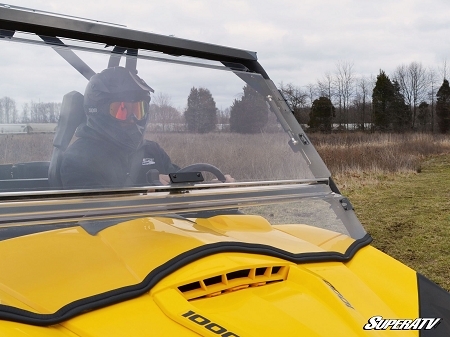 Help protect you and your passenger from sticks and other flying debris while blazing the trail with a SuperATV windshield - the best off-road windshield on the market. Each flip windshield is designed and engineered to fit specifically to your machine. We focus on both style and function. We understand the importance of a windshield that fits the contour of your individual machine, helping to reduce airflow while giving your machine a sleek design. 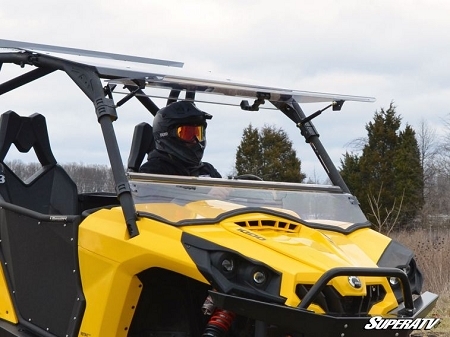 SuperATV uses the best material on the market for our windshields. Utilizing 1/4" abrasion resistant Makrolon®, we give you a windshield that is hard coated on both sides. This protects against scratches, UV, and chemical attacks. 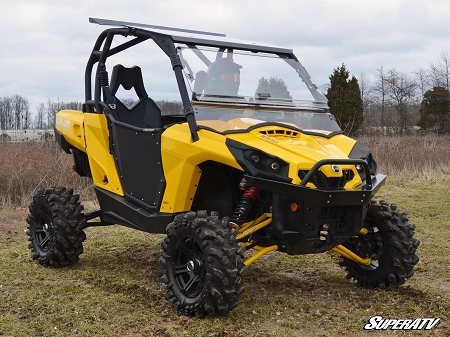 SuperATV flip windshields come to you pre-assembled. This saves you tons of time in attaching brackets, looking for hardware, and installing clamps. Each windshield is proudly made in Madison, Indiana, where we cut, form, and package each windshield with care.